We like to spice it up every year at STAKKS and add something extra as well as the classics. Take a look at the 2019 specials this month!! This month we are introducing a BRAND NEW STAKK!! As well as bringing back an oldie but goody for the (supposed) start of springtime. Celebrating Mother’s day is an age old tradition so why not add a little something different this year? International Women’s Day is celebrated all around the world, and here at STAKKS we like to celebrate it too! Come and enjoy a STAKK of 6 or 12 pancakes with your ladies. 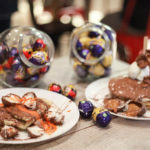 Pancake Day Extravaganza 2019 at Stakks! 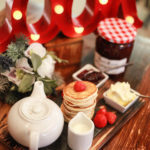 This 2019, Pancake Day is going to be one of our best EVER! With a new menu design, WAY more vegan options and a new lick of paint (literally) we cannot wait to join FLIPPING crazy!!! Ever taken your first date for pancakes? No? WELL then it’s your lucky month!! 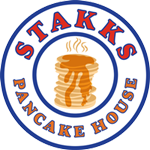 Here at STAKKS we are giving you the chance to bring your ‘First Date’ to us for a romantic pancake trip. 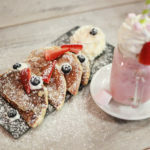 Vegan, Gluten Free or from our normal menu you can enjoy the pancakes of our labour with your date. It’s January, everyone has eaten too much over Christmas, we all want to be healthy but we don’t want to just eat leaves for the whole month right? BINGO. This month, it’s a little darker in the evenings and we are snuggling up and getting ready to hibernate for the most part. But whats hibernation without some good food? We always pull something special out of the bag for October and Halloween and this year is no different!! Chocolatey STAKKS are some of our favourites, so we have covered the Halloween special in Chocolate, Marshmallows and Crushed Oreos with Orange on the side!